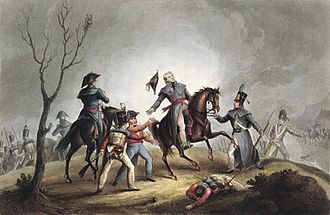 In the Battle of Roliça (17 August 1808) an Anglo-Portuguese army under Sir Arthur Wellesley defeated an outnumbered Imperial French division under General of Division Henri François Delaborde, near the village of Roliça in Portugal. The French retired in good order. Formerly spelled Roleia in English, it was the first battle fought by the British army during the Peninsular War. In the months after occupying Portugal, Napoleon undertook the conquest and control of Spain. He met much resistance but it was disorganised even when it was effective. 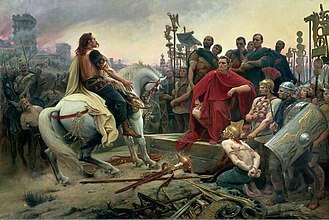 By the end of July the Spanish had met the French a dozen times, winning, or at least not losing, at seven of those meetings. Their most spectacular victory was in southern Spain on 23 July 1808, when General Castaños surrounded and forced 18,000 French under General Dupont to surrender at Baylen. On 30 July 1808, the French General of Division Louis Henri Loison massacred the population, men, women, and children, of Évora. Both of these events were to have an effect on the future of each nation's relationships with British troops. On the same day, Wellesley received a letter from Viscount Castlereagh, the Secretary of War. 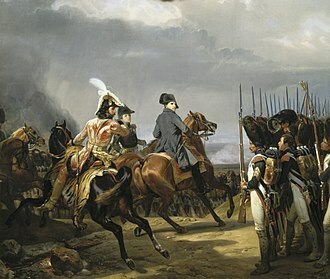 It informed Wellesley that General Jean-Andoche Junot's forces numbered more than 25,000. Castlereagh forwarded his plans to augment the British army in Portugal by another 15,000 men. 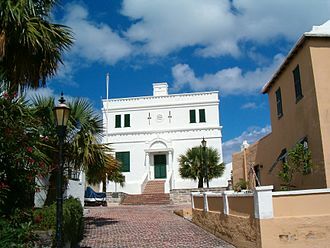 General Sir John Moore was to arrive with an army from Sweden, and another force would be forwarded from Gibraltar. The command of this larger force would pass to Sir Hew Dalrymple (the Governor of Gibraltar, a 60-year-old general who had seen active service only in a failed campaign in Flanders in 1793–1794). Dalrymple would be seconded by Sir Harry Burrard, attended by five other generals, all senior to Wellesley (Dalrymple, Burrard, Moore, Hope, Fraser, and Lord Paget). 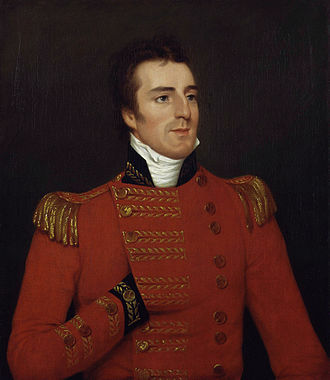 The ambitious General Wellesley hoped to make something happen during the time he still commanded the army in Portugal. On 30 July 1808, General Wellesley remet Admiral Cotton's convoy with Wellesley's troops at Mondego bay. Wellesley chose this as his landing point because students from Coimbra University had seized the fort making this a safer landing than any place nearer Lisbon. The disembarking of Wellesley's original 9,000 troops and supplies with the 5,000 they met off Portugal lasted from 1–8 August. Some landing craft capsized in the rough surf making the first British casualties in the Peninsula victims of drowning. The army marched off on the 10th on the hot and sandy 12 miles (19 km) march to Leiria. Wellesley arrived on the 11th and soon argued with General Bernardim Freire de Andrade, the commander of 6,000 Portuguese troops, about supplies and the best route to Lisbon. The result had Wellesley taking his preferred route, close to the sea and his supplies, with 1,700 of the Portuguese under the command of Colonel Nicholas Trant, a British officer in service with the Portuguese Army. 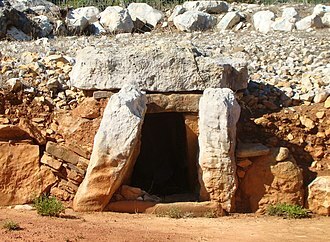 The army then began its march toward Lisbon following a force of the French army. The French were under the command of General Henri François, Comte Delaborde. 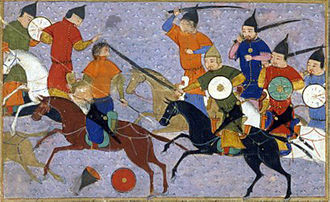 These troops had been sent by Junot to harass and hold the British while he brought his larger army into position to oppose the Anglo-Portuguese forces. By 14 August the British reached Alcobaça and moved on to Óbidos. Here the British vanguard, consisting of riflemen from 5th/60th and 95th Rifles, met pickets and the rearguard of the French forces. The 4,000 French were outnumbered approximately four to one. The village of Roliça is placed in the centre of a horseshoe shape of steep hills approximately one mile wide and two deep. The open end opens north-northeast toward Óbidos where the 5/60th and 95th had met the French the day before. The hills around Óbidos and Roliça were well wooded. The French began the day to the north of Roliça backed up to the higher ground allowing them to block or protect the roads south toward Lisbon. On the hill about one mile to the south of the village where the French first fell back, there were four defiles, or gullies leading into the new French position. The field below these hills were grassy, but boulders and the steep sides to the gullies made attack in formation impossible. In the first stages of the battle, Delaborde pulled his troops back to the top of the hill. The Anglo-Portuguese were formed in six brigades under Major General Rowland Hill, Major General Ronald Craufurd Fergusson, Brigadier General Miles Nightingall, Brigadier General Barnard Foord Bowes, Brigadier General Catlin Craufurd, and Brigadier General Henry Fane with the Portuguese under Trant. Trant with the Portuguese and 50 cavalry formed the right and were to turn the French left. Fergusson and Bowes with three companies of riflemen and some light artillery were to force the French right and hold against the possible arrival of French troops under Loison. Hill, Nightingall, Craufurd, Fane with the remaining Portuguese, and the rest of the guns and cavalry were to push the centre. 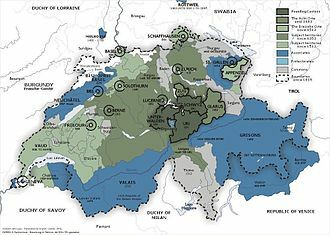 The French forces under Delaborde consisted of five battalions, including one Swiss, and five guns. 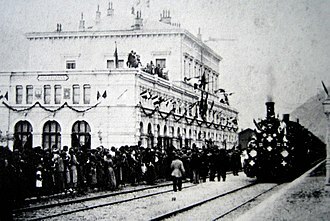 Wellesley arrived at Óbidos on 16 August and moved toward Roliça on the following day. At the beginning of the battle, Delaborde occupied a position to the north-northwest of the village of Roliça. Wellesley attempted to manoeuvre his forces into a double envelopment, moving to each flank of the French position. This could be attempted since the Anglo-Portuguese army outnumbered the French forces present by over 3 to 1. He sent Trant to the west, and a stronger force under Fergusson and Bowes with six guns to the east, while he distracted the French with a show of force and noise in the centre. Wellesley tried the manoeuvre twice starting at 9:00 in the morning, but the battle-wise French fell back each time. At this time the French final position was to the south and east of the village at the top of a steep hill. Colonel Lake of the 29th Regiment of Foot in the centre then made the mistake of dashing up a gully toward the French position. He arrived behind Delaborde, which cost Lake his life and most of the men in the 29th. This prompted a general attack in relief by the outnumbering British. 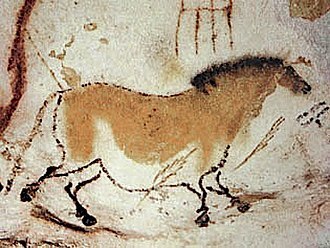 The fight was rough and uphill with Delaborde hoping for support to arrive from Loison. 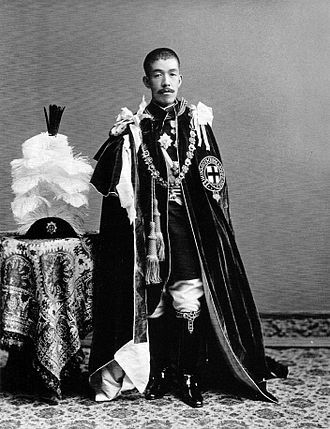 He repulsed three assaults by the British until nearly 4:00 in the afternoon. At this time Wellesley reached positions at the top of the hill and Ferguson arrived over the hills to the east. Delaborde began to withdraw in good order with effective aid from his cavalry until his army's discipline broke and his army ran. Without British cavalry to press the pursuit, they successfully withdrew to Montachique near Torres Vedras. The Anglo-Portuguese won with 487 casualties, over half that number from the precipitate 29th. The French lost 700 men and three of their five guns. Delaborde himself was wounded. The following day Wellesley found that the 4,000 additional British troops had arrived from England and were off the coast. He marched his men to cover their disembarkation rather than follow Delaborde. Four days later they would be attacked again and the Battle of Vimeiro would ensue. ^ a b Ralph Baker in The Encyclopedia of the French Revolutionary and Napoleonic Wars by Gregory Fremont-Barnes (main editor) (Santa Barbara: ABC-CLIO, 2006) 825. ^ Ralph Baker in The Encyclopedia of the French Revolutionary and Napoleonic Wars by Gregory Fremont-Barnes (main editor) (Santa Barbara: ABC-CLIO, 2006) 826. The Recollections of Rifleman Harris, Benjamin Harris and Henry Curling, 1848. Bombarral is a Portuguese municipality in the Oeste Subregion, region Centro. The population in 2011 was 13,193, in an area of 91.29 km² and it includes four civil parishes that provide local services. Most documented references to Bombarral begin in the 14th century, when the area was under the dominion of the Monastery of Alcobaça, with the creation of Portugal, King Afonso Henriques donated the lands to Cistercian monks, around 1153. Before, the Battle of Aljubarrota King John of Portugal stayed in Bombarral with his Knight, Luís Henriques, in the 18th century it was recognized as Queens lands, and part of the municipality of Cadaval until 1852. 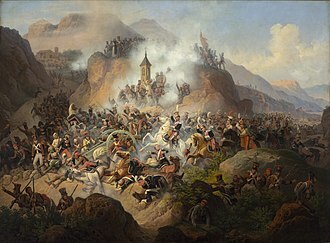 During the Peninsular War,15000 Anglo-Portuguese troops confronted a much smaller army of French infantry and cavalry in Roliça in the first engagement by British forces. The valleys and gullies of Roliça allowed the small French contingent to confront the much larger British force, although successful, Wellesley did not press the fleeing French troops, and instead went to support the landing of 4000 troops arriving from England along the coast. 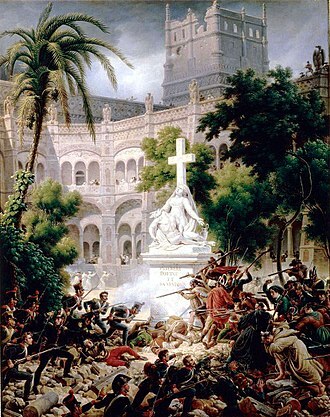 The First Battle of Valencia was an attack on the Spanish city of Valencia on 26 June 1808, early in the Peninsular War. 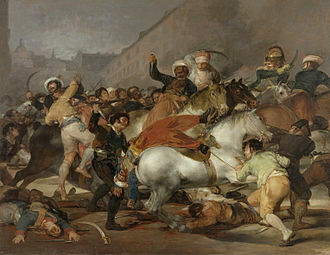 Marshal Monceys French Imperial troops failed to take the city by storm and retreated upon Madrid, leaving much of eastern Spain unconquered and beyond the reach of Napoleon. By the summer of 1808 large parts of Spain had rebelled against the French invaders, accordingly, he ordered a number of small columns to be sent out from Madrid to deal with the rebels. Marshal Moncey was given a column of 9,000 men to restore order in Valencia, Moncey had a choice of routes. The longer slow route led via Almansa, while the shorter quicker route cut across mountains, Moncey shared Napoleon’s belief that he was facing a local insurrection, and chose to take the quicker mountain route. The French were actually faced by a much wider revolt against their occupation of Spain, the Valencian Junta had a force of 7,000 regular troops and a much larger number of levies and volunteers with which to oppose the French. Fortunately for Moncey, the commander of the Spanish force, the Conde de Cervellon, expected Moncey to take the easier route, Moncey was able to sweep aside small Spanish forces at the River Cabriel and the Cabrillas defile, arrived outside Valencia on 24 June. The city was not entirely undefended, three battalions of regular troops, supported by 7,000 Valencian levies, all under the command of Don José Caro, a naval officer, were defending a position at San Onofre, four miles outside the city. Moncey was forced to spend most of 27 June fighting this force, Valencia was not defended by modern fortifications. 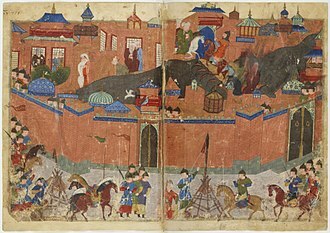 Instead, the city was surrounded by a wet moat and its medieval walls. However, the area was very flat, and the Spanish were able to flood it. There were around 20,000 armed men in Valencia, of whom around 1,500 were regulars and 6,500 levies with at least a little training and they had a number of artillery guns, which were well placed to protect the gates. The gates were protected by barricades built up over the few days. The invasion of Portugal saw an Imperial French corps under Jean-Andoche Junot invade Portugal, which was headed by its Prince Regent John of Braganza. 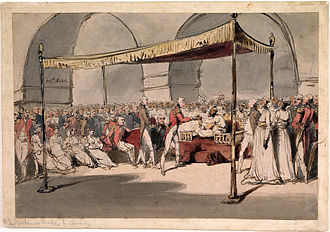 The military operation resulted in the almost bloodless occupation of Portugal, the French presence was challenged by the Portuguese people and by the United Kingdom in 1808. 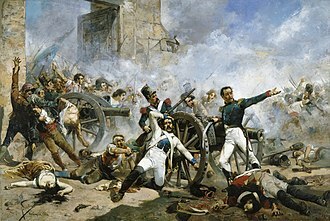 The invasion marked the start of the Peninsular War, part of the Napoleonic Wars, threatened by a humiliating ultimatum from Napoleon, the Portuguese government acceded to most of the demands of the French emperor. 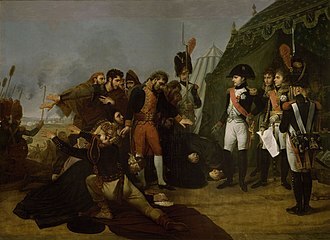 Nevertheless, Napoleon ordered Junot to commence the invasion, with the cooperation of three divisions from the Kingdom of Spain, paralyzed by fear and indecision, the Portuguese authorities offered no resistance. Junot occupied Lisbon on 30 November 1807 to find that John, the French quickly occupied the entire country and appropriated or disbanded the Portuguese army. The following year saw the Portuguese revolt against their occupiers, the next action was the Battle of Évora in July 1808. 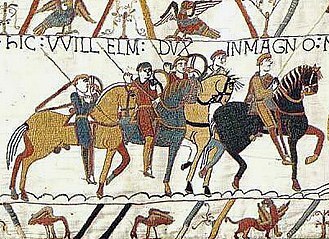 When the Treaties of Tilsit ended the War of the Fourth Coalition, Prince John of Braganza, regent for his insane mother Queen Maria I had failed to comply with the emperors Continental System, a prohibition against British trade. In addition, the seizure of Portugal would fit neatly into Napoleons future designs against Spain, on 19 July 1807, Napoleon ordered his Portuguese ambassador to inform that country to close its ports to British shipping by 1 September. On 2 August the 1st Corps of the Gironde Army of Observation was officially brought into being, shortly afterward, the First French Empire placed all Portuguese shipping in its ports under embargo. On 23 September, the made his intentions clear when he publicly threatened to depose the Braganzas in front of the Portuguese minister to France. Meanwhile, on 12 August 1807 the French and Spanish ambassadors delivered their ultimata to the Prince Regent of Portugal. 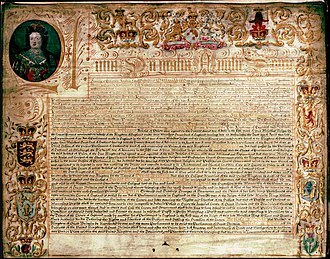 The notes required that John must declare war on Great Britain, put his fleet at France and Spains disposal, seize all British trade in his ports, and put all British subjects under arrest.